This project was born out of my interest in studying colors and how we perceive them in our lives. My idea was to generate, through the configuration of space and the use of the color blue, a new experience outside of the pre-conceived ideas that the viewer can have about blue. By pre-conceived ideas I mean how we associate the color blue with calm, peace, harmony, truth, infinite, loyalty, ocean, sky, as well as in English language with being depressed. 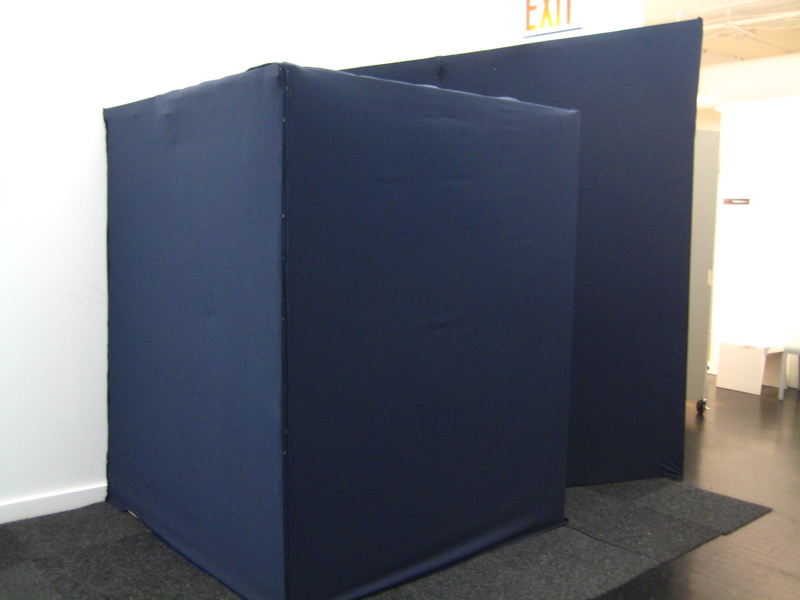 I constructed the blue physical space at the Parsons The New School for Design building in 6 East 16 Street, 12th floor. In this project I explored the color blue through the use of light. 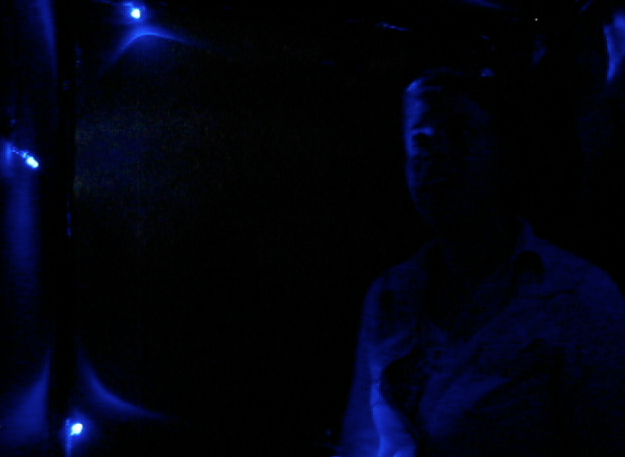 First by projecting the viewer on a blue background and then by using blue LED’s. The walk begins with the viewer being recorded entering the space and then projected inside with a 5 second delay. 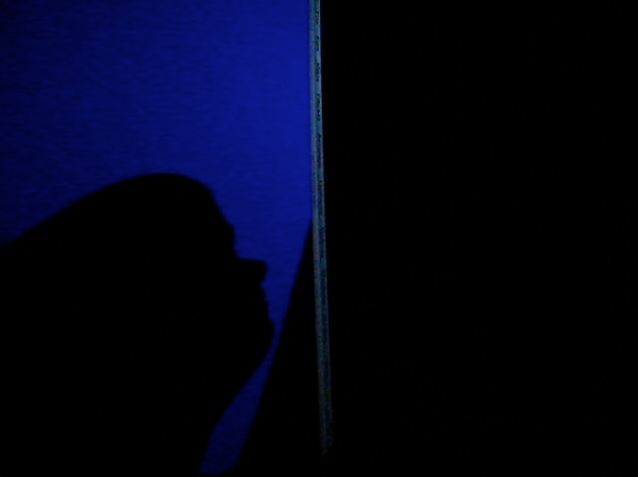 The projection is a recognizable figure on a bright blue background. The delay allows the person to see him/herself entering the blue space, this new environment. 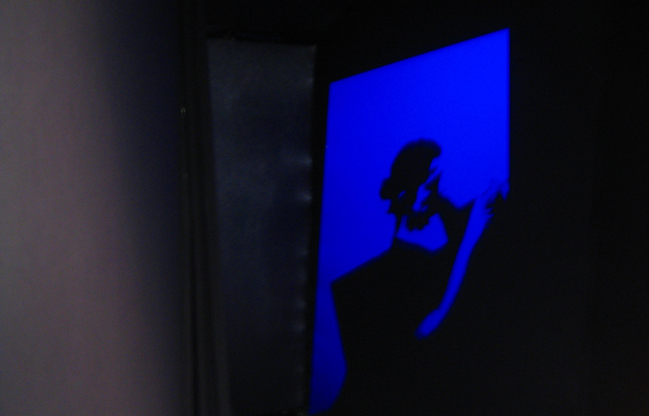 Since the projector is behind the viewer, once inside the space the shadow overlaps with their projected figure. The viewer is immersed in blue. This space allows more than one person to be seeing and experiencing the projection, it can be seen as a collective experience. 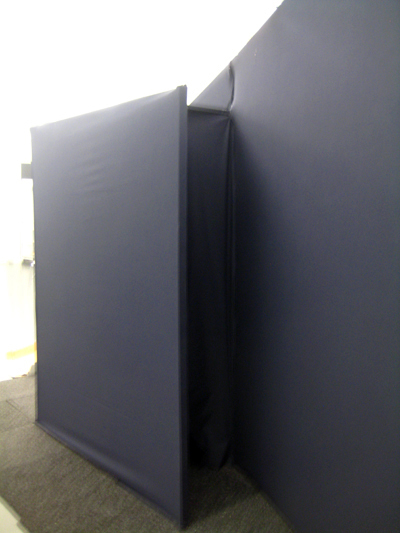 After the projection, the viewer turns the corner and walks through a curtain. The space narrows down, changing the scale, and so does the blue environment. This smaller and constrained space, which holds only one person, has a proximity sensor, which senses the persons’ presence and triggers blinking blue LED lights. This becomes an individual experience. For this piece to exist it needs the interaction of the audience. The person, with her/his presence takes an active role on the art piece, on the first part by being part of the projection and generating the shadows over the blue space, and on the second part by triggering the lights.